Do you love sticky notes? I sure do! I had never really thought about printing onto sticky notes until one of my assignments from The Dating Divas included a request for a page of sticky notes. I just had to try it for myself, and now I can't believe all the possibilities that creates! As my planner organization has evolved over the last year or so, I find myself using sticky notes ALL the time. 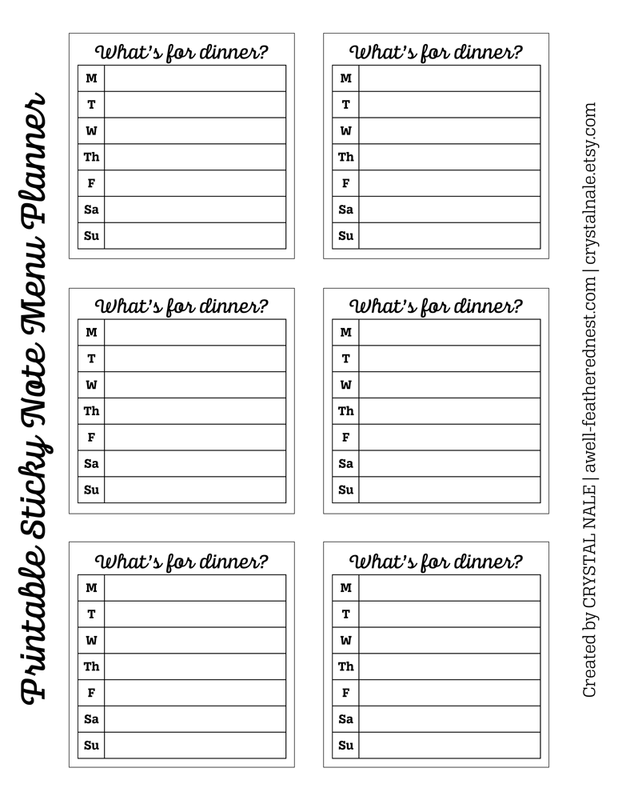 I recently created these printable meal plan stickies for myself, and I LOVE them. 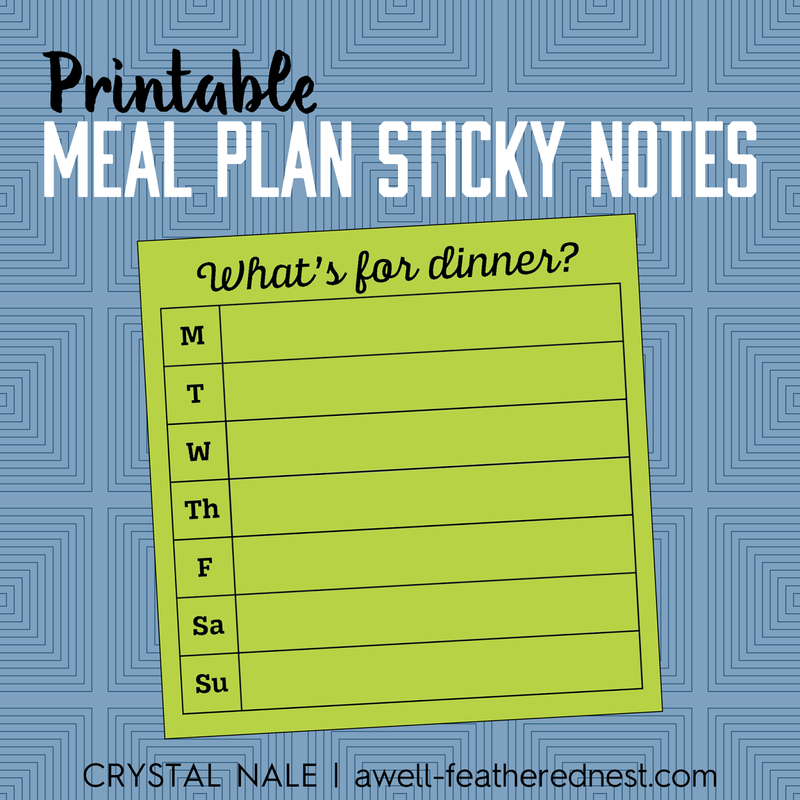 I like to have a quick place to write down my dinner ideas for the week right along with my weekly plan, so I can account for nights when we have places to be or there are other things going on. This sticky note makes that easy and keeps me organized. I'll be sharing more about my current planning set-up in the near future, but I wanted to go ahead and share this printable with you guys. All you have to do is print the page, place your 3x3 sticky notes inside of the square guides on the page, place the sheet back into the printer face down, and print the page again.